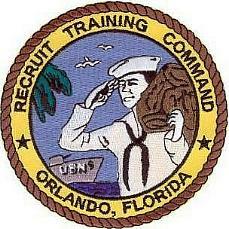 The Orlando Naval Training Center (NTC) was commissioned on July 1, 1968. It was established to enhance the manpower training capabilities of the United States Navy. It was the final of three active training facilities for Navy recruits, the others being Great Lakes Naval Training Center and San Diego Naval Training Center. 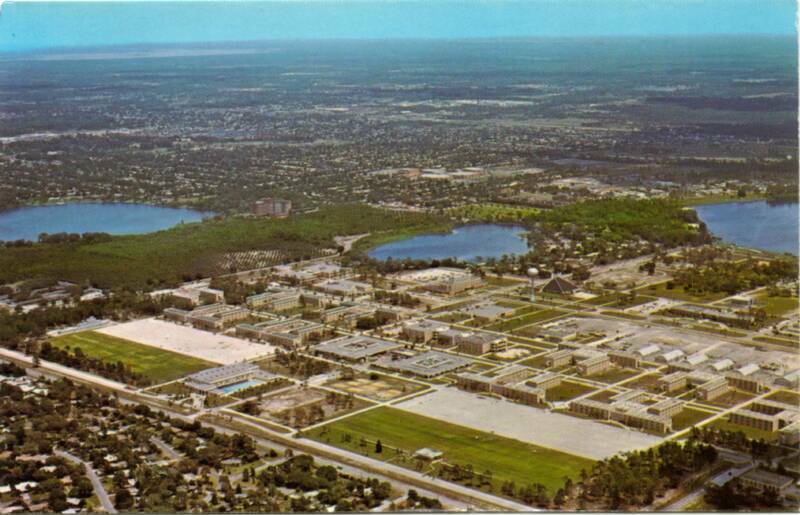 Orlando NTC was built on land used by the Army Air Corps during World War II as part of the Orlando Army Air Base. This base was decommissioned in 1946 with the military retaining the land with the exception of the airfield being returned to the city of Orlando (today's Orlando Executive Airport). 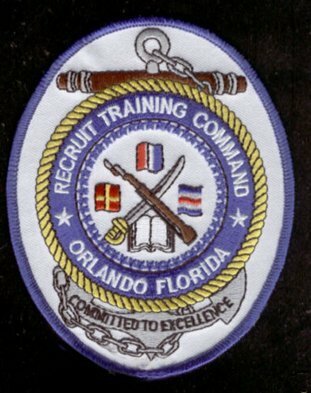 RTC (Recruit Training Command or boot camp), was charged with "providing basic indoctrination for enlisted Naval personnel. In 1970, the Recruit Training Command has an average on-board load of about 3600 recruits occupying its five modern barracks, each of which houses 12 recruit companies. These five barracks, plus a 4,600-man mess hall, a classroom building, a recruit chapel, a training ship mock-up, and other facilities comprise the first camp of the Recruit Training Command. In 1969, construction on the second camp began with targeted completion date in mid-1973. The recruit population will then exceed 8,000. The second recruit camp will be identical to the first with five barracks and additional support buildings for training purposes. In 1973, Orlando became the sole site of recruit training for enlisted women. Prior to this, women had been trained in Bainbridge, Maryland. 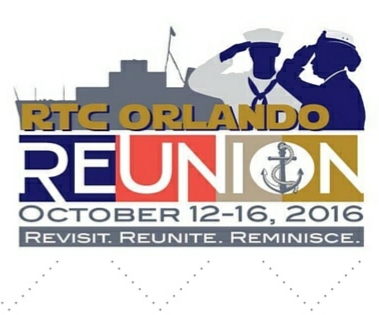 The move to Orlando created the first co-located training site for enlisted men and women. In 1993, many military installations across the country were ordered to close by the 1993 Base Realignment and Closure (BRAC) Commission. After much discussion and input by the local community, NTC Orlando was chosen to be one of the bases closed. The Recruit Training Command graduated its last company of 459 recruits in the 1321st Pass-In-Review Ceremony Dec. 2, 1994. The command closed officially March 31, 1995. More than 652,000 recruits graduated from RTC. The Service School Command officially closed in November 1996. The various schools relocated to other bases, primarily Naval Training Center Great Lakes, Illinois. 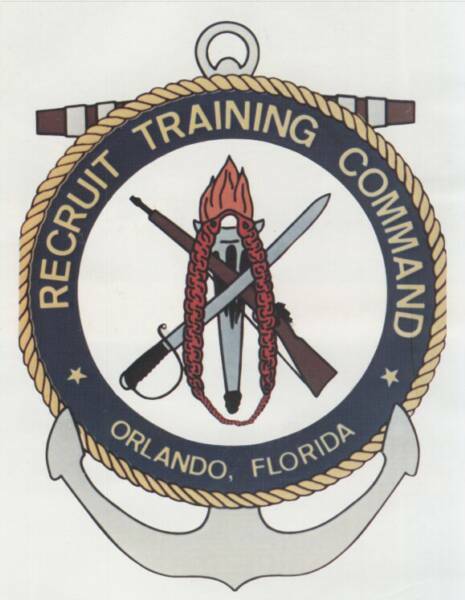 Naval Nuclear Power Training Command, the last major command to remain aboard the training center, graduated its final class in December 1998, thereby completing thirty years of Naval training in Orlando. With the closing of the Naval Training Center, Orlando and the surrounding area was left with no military bases. The closest being Patrick Air Force Base on the Atlantic Ocean. The property owned by the Department of Defense for the NTC was returned to the City of Orlando and a large-scale redevelopment plan has been developed turning the location into a major sub-unit of Orlando called Baldwin Park. The redevelopment includes hundreds of homes and apartments as well as shopping areas, parks and schools. I have a copy of an Aug - Sep 1981 Rudder. It is from Training Unit 212. Please e-mail me if you were in that TU and want this Rudder.